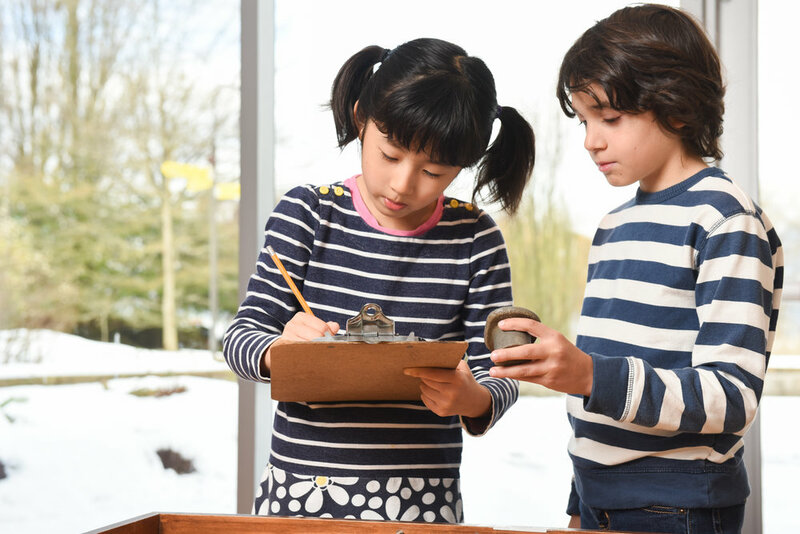 The Museum of Vancouver offers a wide range of facilitated educational programs for elementary school students, K to Grade 7, designed to align with British Columbia's social studies curriculum. Tous les programmes d'école primaire sont également offerts en français. All half-day programs are offered twice daily at 10:00am & 12:00pm and cost $7.50/student. Learn about Ancient Egypt by role-playing archaeologists. Excavate and examine Egyptian artefacts, build a pyramid, and see a real Egyptian mummy. Little Victoria lived in Vancouver a long time ago. Follow five generations of her family as you hear the story of her lost doll, then play with toys from each generation. Role-play archaeologists to excavate toys like Victoria’s. Examine artefacts that tell us how aboriginal cultures met the basic needs of food, clothing, and shelter. Excavate objects from Pacific Northwest Coast culture and follow the seasonal cycle with objects showing how Inuit lived, played, and hunted. Play an immigration game in our Vancouver History Galleries. Explore the galleries and examine real suitcases from immigrants while collecting points and money towards immigrating. This program focuses on who immigrates and why, the quality of life for new immigrants, and immigrants’ contributions to Vancouver. Role-play buyers for our museum shop, “The Global Village.” Visit our global marketplace and purchase objects that may or may not have been created in an ethical and sustainable way. Explore our Vancouver History Galleries to uncover moments when Vancouverites either demonstrated good global citizenship or ignored their responsibilities. Uncover the science of archaeology by investigating artefacts from the ancient cultures of Mesopotamia, Egypt, Indus Valley, China, Greece, and Rome. Work in teams to do a simulated field dig, then research and analyse artefacts in a lab to formulate and test your hypothesis. Examine a real Egyptian mummy and learn about the process of mummification. Explore the Museum of Vancouver’s feature exhibits through the eyes of a museum curator. Rate exhibits based on their design, theme, and interactive elements. Create your own museum display using artefacts from the Museum’s collection. Tour our Vancouver History Galleries and Featured Exhibitions on your own. Gallery resource materials are available to support and enhance your self-directed exploration. $4.00/student as an add-on activity; $6.00/student as a stand-alone activity. Discover Vanier Park's monuments and art installations using our easy-to-follow scavenger hunt activity guide. Find and decipher the Viking rune stone and count the animals on the iconic Kwakwaka'wakw Centennial Totem Pole. Work with professional animators to storyboard a plot, create and animate characters, and add dialogue and sound effects. You’ll complete a one to two minute animated story by the end of the day. Story choices include: Vancouver Fire, Gold Rush, 1907 Anti-Asian Riots, Japanese-Canadian Internment, and the Mummy Panechates. Presented by Reel 2 Real and Museum of Vancouver. The award-winning Artists for Kids visual arts program has arrived at the Museum of Vancouver! Join art educators for a half day, art-based workshop exploring themes from the Haida Now exhibition. In this hands-on workshop, students will discover techniques and skills employed by artists in the exhibition while learning about the artists and their culture. Don’t miss out on this opportunity; a limited number of sessions available. An overnight adventure your class will never forget! Throughout the evening, participants will role-play archaeologists and excavate Egyptian artefacts, explore the Museum by flashlight to solve the mummy’s curse, and examine a real Egyptian mummy. Includes snacks, light breakfast, and all programming supplies. We offer guided activities over Spring Break and throughout the summer for kids groups, including summer camps and after-school care.